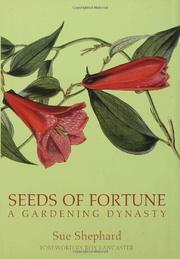 Informative and generously illustrated volume detailing a British clan’s multigenerational contribution to horticulture. Vividly describing changes in both gardening and the family’s fortunes, Shephard (Pickled, Potted, and Canned, 2001) begins her tale with young John Veitch, an apprentice gardener who left Scotland to work in a London nursery in 1768. He soon moved to Devon, where he designed and worked on the gardens at Killerton before establishing his own nursery near Exeter. Though the Veitch family stands at the heart of this account, the author also evokes their times. An expanding interest in landscape design and exotic plants, made possible by Victorian England’s burgeoning wealth, led to lavish expenditure on garden design as well as the purchase of such newly discovered and costly plants as fuchsias, orchids, and monkey puzzle trees. The Veitch family’s nurseries spanned three centuries, and as she describes their distinguished contributions to horticultural history, Shephard also celebrates the great plant hunters who worked for them. Men like the Lobb brothers and Ernest Wilson made discoveries under arduous conditions in China and South America that established the Veitches’ fortune, often at the cost of their own health and even lives. The author chronicles the family’s decision during the 1850s to move their headquarters to London’s Chelsea neighborhood, where they could take advantage of a larger market and provide rare, exotic, and expensive plants to the newly monied building country houses near London. The Veitches introduced the first orchid hybrids and numerous new species (many no longer grown), but they are less vivid than the plants they nurtured and their horticultural milieu, which spanned the sweeping parks of Capability Brown, the herbaceous borders of Gertrude Jekyll, and two world wars. Noting that the family destroyed many of its private papers, Shephard has to rely primarily on secondary sources to tell a story that ended in 1969, when Mildred Veitch sold the Exeter nursery. A rich trove of gardening lore and history.